Jetblack - Long jet necklace elegant and versatile. 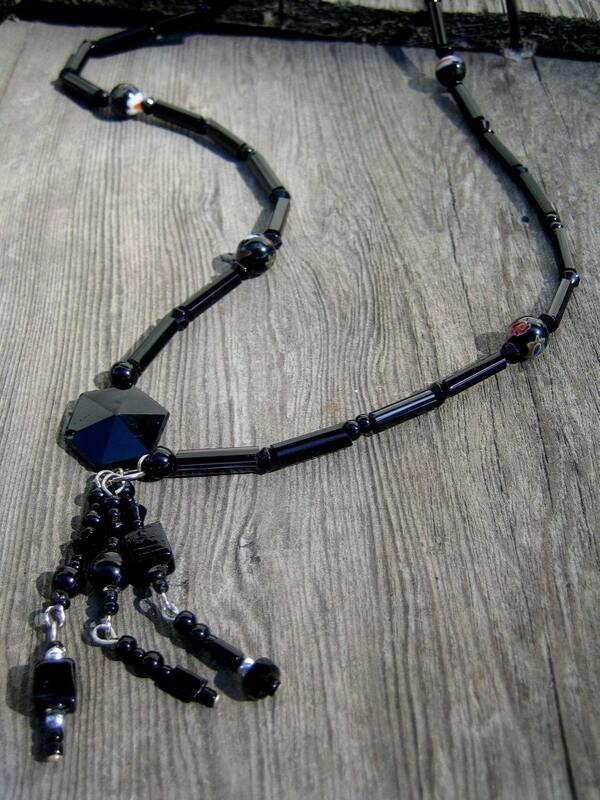 Beautiful long necklace in jet black tubes and millefiori beads with a chandelier pendant on a geometric onyx bead. Tip: Nice long and wearable piece to accessorize with. Enjoy it!